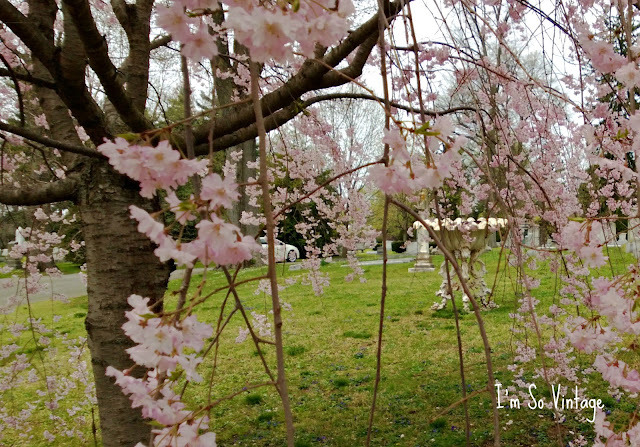 It's my favorite spring outing. 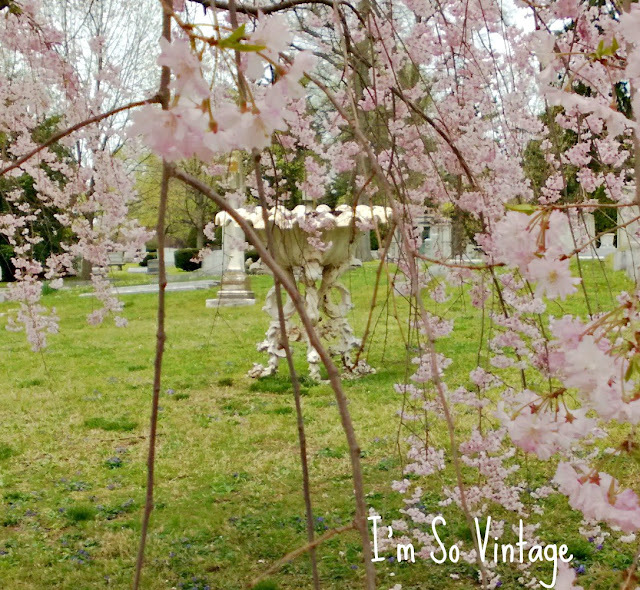 Visiting the historical Lexington Cemetery in the spring when the weeping cherries are in bloom. Who are they weeping for? Is it the forgotten souls who left this earth so long ago? 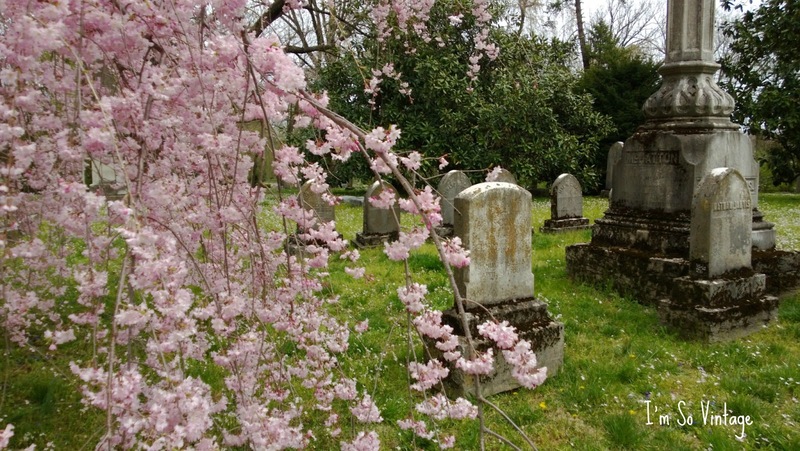 Are they meant to provide us with a canopy of peace as we, the living, meander through the grave sites? I wonder who planted these beautiful old trees so long ago. Did they know that when we were unable to be there to weep, that these beautiful trees would weep for us. Beautiful post as always!! Love the pics! We gave our friend,Morgan a weeping cherry tree when his mother passed away a few years ago. It was meant to honor her and her love of working in her gardens. I love seeing it bloom every year and knowing he has a physical reminder of his mom every day. Lovely photos! Whoever planted those trees certainly had vision! What a beautiful path through the cemetery. We also went around Brooklyn checking out the spring blooms and ended up at Green-Wood Cemetery. The weeping cherry tree that I saw was just beginning to bloom in front of a brownstone. 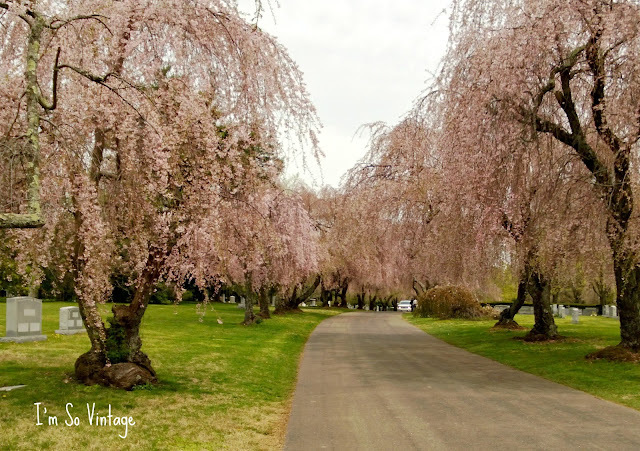 What beautiful trees -- I know weeping willows, but have never heard of weeping cherry trees. It must be inspiring to drive along their path. What stunning trees-I'd never seen a picture of them before-thanks. Laura... these photos are spectacular!! And your beautiful words make them even sweeter! Beautiful. I believe that cherries and willows do weep. What a beautiful tree! I don't think I've ever seen one! 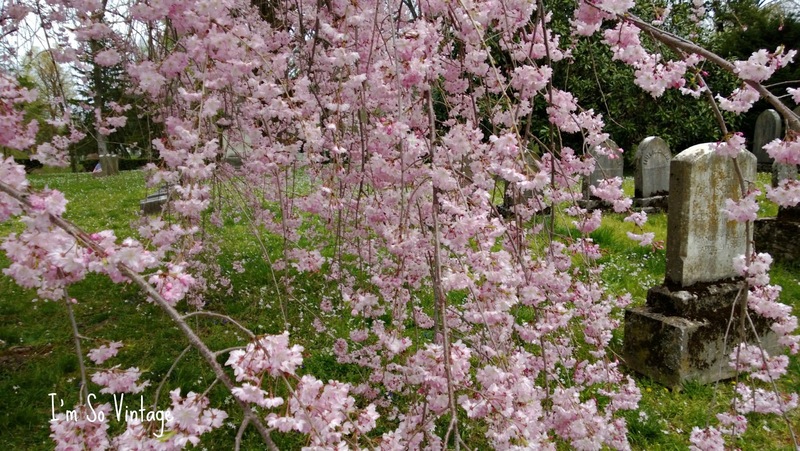 I just love weeping cherry trees, they are so delicate and graceful. Beautiful pictures. 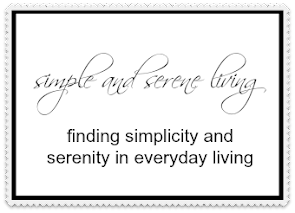 Beautifully written and wonderful pictures: an enchanting post.